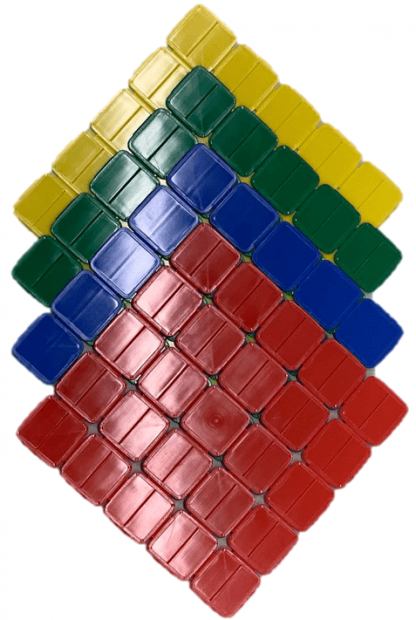 Festival tokens or coin strips are perfect for big events with lots of visitors. The festival token is actually a tablet consisting of 25 small tokens. Each separate coin is 23 x 23mm and is very solid because of the little edge. Every token can be snapped in half, if you like. For durability of the tablet, we have made sure the middle token cannot be snapped in half. During big events it’s a true art to not have your customers waiting in line for a long time and that is exactly the big advantage of this festival token as this token is very easy to divide at the cash register and accept behind the bar. In order to really guarantee an impeccable service at the cash register, the festival tablets come in handy and sturdy boxes that can be reused. 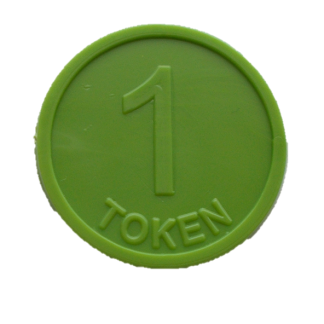 Put your logo, sponsor, brand or message on the festival token. That way you don’t only make the tokens fraud-proof, but you also bring the artwork under the attention of all visitors. 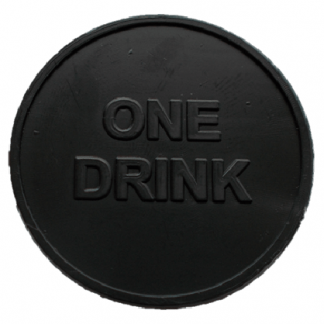 We can personalise each festival token on one or both sides, in one color or full color. Even unique numbering on each tablet is doable. Your logo, company name or website on a coin strip ensure a personalised image and name recognition. 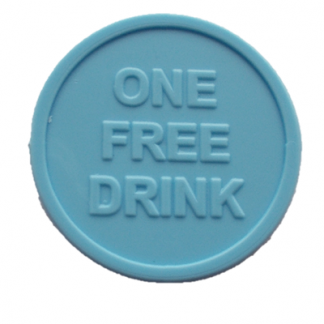 Sponsors, logos or brands will certainly turn heads when they are on a full colour printed token. Thanks to personalisation of the festival token logos, brands, sponsors or names will be easy to recognise. 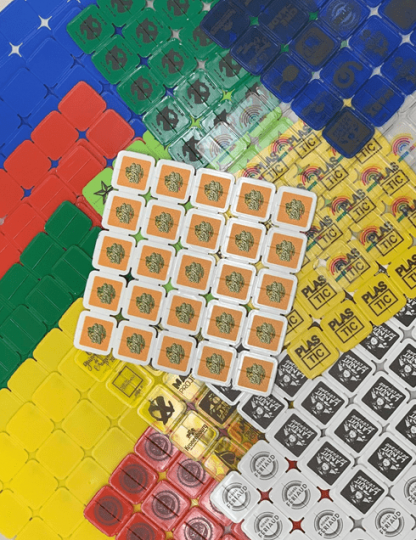 This means that brand awareness grows because of these printed tokens. Personalised event tokens are fraud-proof. 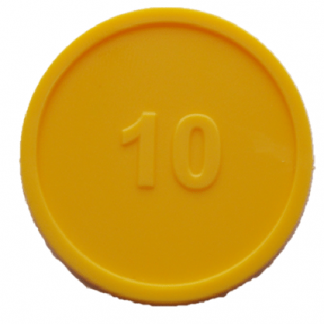 By putting your own logo or name on the coins, your tokens will be easy to recognise. What’s more, we will not produce your tokens for a third party. If we even suspect counterfeiting or fraud with tokens, we immediately inform the rightful owner and the police. 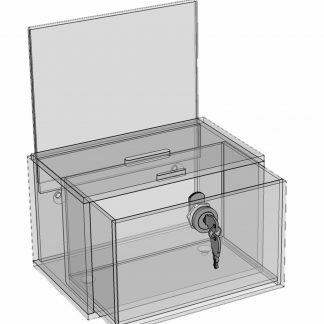 The minimum order quantity for festival tokens is 30,000 tokens per design. Orders by multiple of 3,750 tokens. The following prices are per token, not per tablet. Read more about festival and event token systems here. 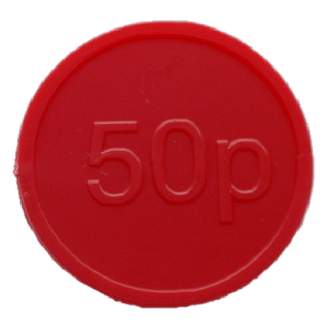 If you require these tokens for a particular date please add the date to your order notes and we will endeavour to meet your deadline.